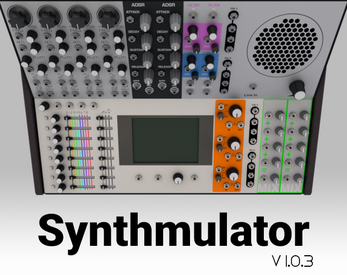 Synthmulator is a virtual world simulator (aka video game) where you are alone in a room with the PROTO-1, a modular synthesizer setup, and a bunch of cables. 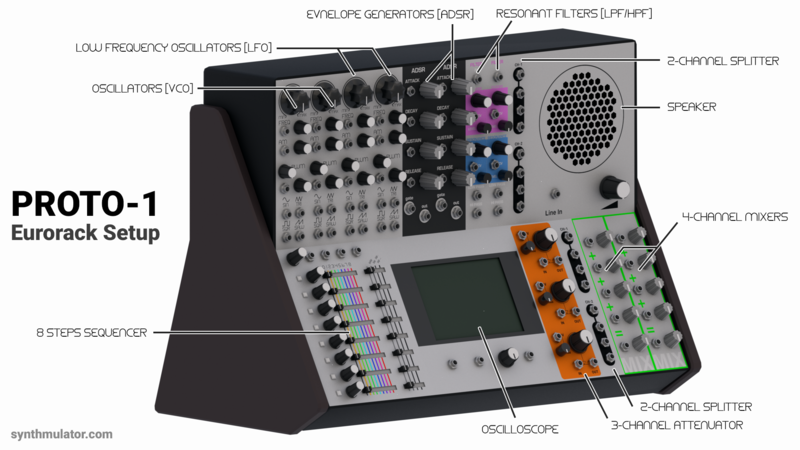 It is not a sound desing tool, but you might be able to design sounds with it; approach it as a toy. 2 VCOs (Voltage Controlled Oscillators) for audible frequencies. 2 LFOs (Low Frequency Oscillators) up to 20hz. 2 ADSR (Attack-Decay-Sustain-Release) envelope generators. It’s a great way to get acquainted with the versatile and essential instrument. DJ Mag The concept is simple but brilliant. Synthmulator is pretty cool. It looks great, works great even though the cables do get in the way – but that’s a realistic simulation for you. GearNews.com Sehr spaßig. Aber sicherlich auch ein tolles Tool, um Anfängern oder angehenden Einsteigern die Welt der Modular-Systeme zu erklären. 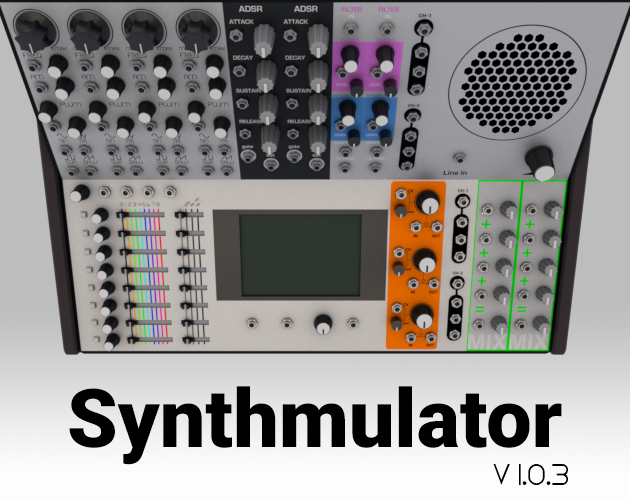 If you are writing about Synthmulator take a look to our press kit. Do you got plans to add the PayPal payment option?